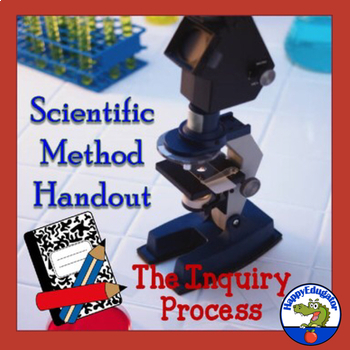 The Scientific Method and Inquiry Process Handout. Help students conduct science experiments. 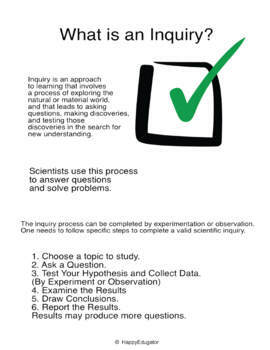 Printable reference guide to the steps to the inquiry process, or scientific method, either by observation or experiment. Illustrates the steps to making valid and reliable observations and experiments in easy kid-friendly language.